I have seen this happen first hand just shy of a million times. But, by all means, see for yourself! 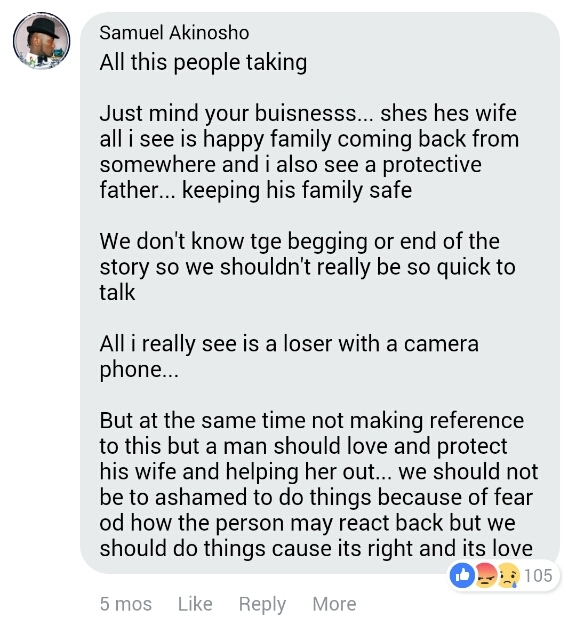 Please you really need to see this one. It is really short. Did you notice how he strolled behind her like a slave master? This is 1000 shades of wrong. This man doesn’t deserve egusi and pounded yam he is purely garri and salt material. I do not have a conclusion for this one. THERE ARE NO WORDS. Sim, my mouth has just been open. What made me extra weak were the comments of these people. I just lack words. We have a long way to go. It’s so sad. 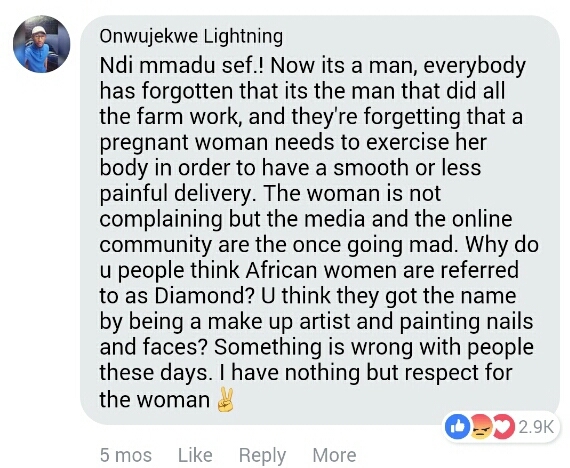 For goodness sake, the woman is pregnant, backing a child and carrying all that and someone is saying is she complaining? 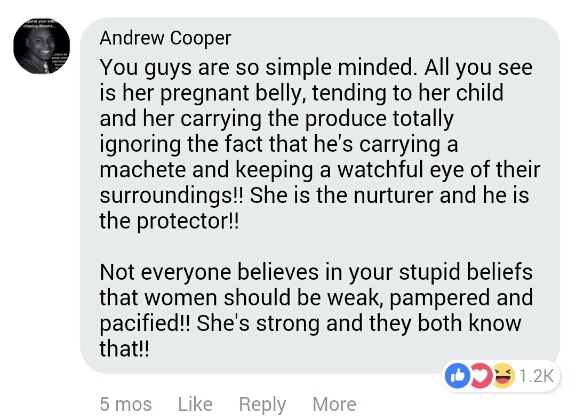 another is saying no one is considering the man that worked and another is saying the woman is the nurturer, he is the protector. These are Nigerians I suppose. It’s very sad. Exactly. I just thought maybe one of them would have said maybe the man isn’t her husband and was just passing. Regardless, I think any decent human being that sees a woman with that load will carry even if it is only the plantain. This is our sad reality. YES. 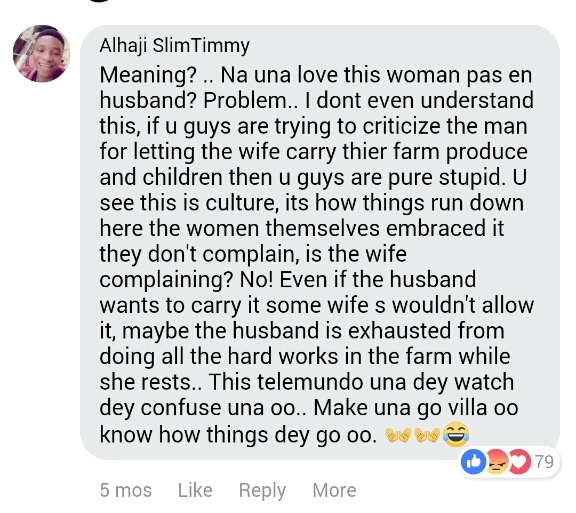 They are definitely nigerians who feel any female that sees this as wrong is a slay queen (they have no idea what a slay queen even means😏).